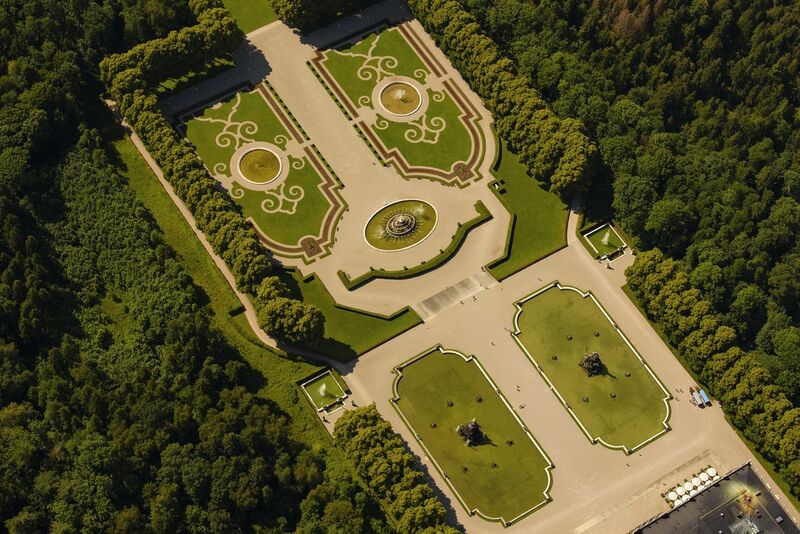 The gardens of Herrenchiemsee - the largest palace of King Ludwig II of Bavaria, Germany. Aerial image. Date Uploaded: July 17, 2016, 2:29 p.m.